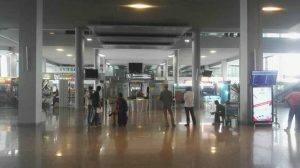 Krabi Airport is an entryway to the glorious Thai beach resorts in the south of the country such as: Had Yao, Ao Nang, Rai Leh and Koh Lanta and of course the spectacular and world famous Phi Phi Islands. 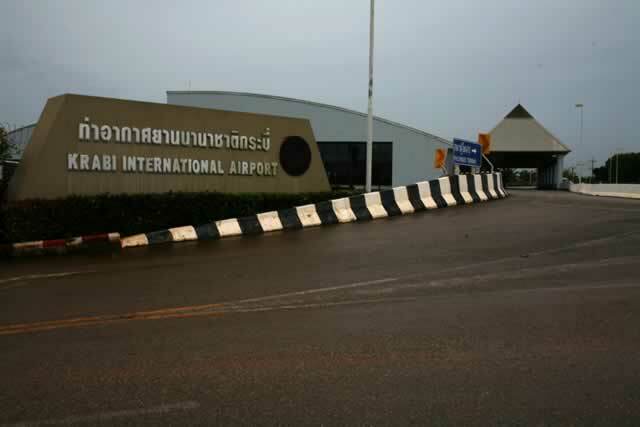 Krabi Airport is conveniently located on the route 4 highway which is the main highway into and out of Krabi. With a brand new international terminal opened in 2006 the airport has gone from strength to strength. The new four storey terminal came in at a cost of 743 million Thai Baht and can accommodate 1200 passengers an hour. The Civil Aviation Authority of Thailand (CAAT) will expand Krabi Airport enabling it to handle over two million added passengers per year, this will also help Krabi expand as a tourist destination, and it will also provide extra, maybe even cheaper, options for customers to fly with than Phuket airport which is only a few hours away. 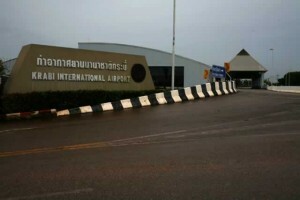 Krabi International Airport serves both domestic and international flights. Nok Air (operate daily direct flights from Bangkok). Air Asia (from Bangkok and Kuala Lumpur). Scoot (Direct flights to and from Singapore & Darwin, Australia). Krabi’s International Airport (KVB) has a rather interesting past history. When it first opened its doors back in 1986 it was a joint venture between the towns private & public sectors thus creating waves before liftoff had begun. There was only one 18 seater aircraft flying out of the airport, obviously this was not functioning as a proper airport and was not successful. Finally work started in July 1999 to secure a much brighter future for Krabi air travel as the brand new airport at Krabi was opened to a grateful public. The airport is quite unique in its building style, as it has actually been carved into the side of a mountain giving a quite spectacular look and one any traveler will not want to forget. 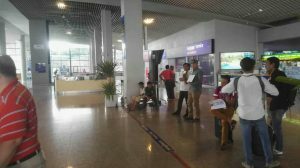 There is a selection of hire car companies at the airport, and if hiring a car is not on your agenda then it is quite easy to find a Taxi outside the main terminal, there are also minibuses running to Krabi Town and Aon Nang. There is also a bus service which leaves for both Krabi Town and Ao Nang on a very regular basis throughout the day. Upon arrival if you do not have any accommodation in Krabi it is also possible to find an agent at the airport who will help you secure a bed for your trips duration or Krabi Hotels selected by Easy Day Thailand. There are several booths serving food and drink in the airport and there are also a couple of money exchange booths as well as ATM machines available. Above departures on the second floor you can find the airport lounge which is handled by Thai Airways; also you can find several airline offices, there is a prayer and meditation room available too. The left luggage counter is located on the ground floor by the entrance, and the airport has good access for wheelchairs.